I’ve been thinking about my dad today. It’s my seventh Father’s Day without him. I was so grief-stricken the year he died, I begg ed my husband to let me skip the June remembrance that first year. Now I remember mostly the good times, the jokes, the fun. He was a good father and a remarkable man in so many ways. Today, though, I found myself remembering the last five years of his life. They were not so good, not much fun at all. He often complained and sometimes ranted to me on the phone about this or that injustice. He blamed me for my son’s difficulties in school. He criticized me as a daughter, a wife, a person. Communication became so unpleasant, I dreaded his calls. When we visited for his birthday in 2004, I spent most of the trip with my nose buried in a book, not wanting to engage in conversation because I knew it would be neither meaningful nor pleasant. When he passed away a few months later, I knew he had been ready to die. He was so tired of dealing with his failing health and he seemed so disappointed by everyone and everything. It hurts to remember how helpless and inadequate I felt those last several years of his life. 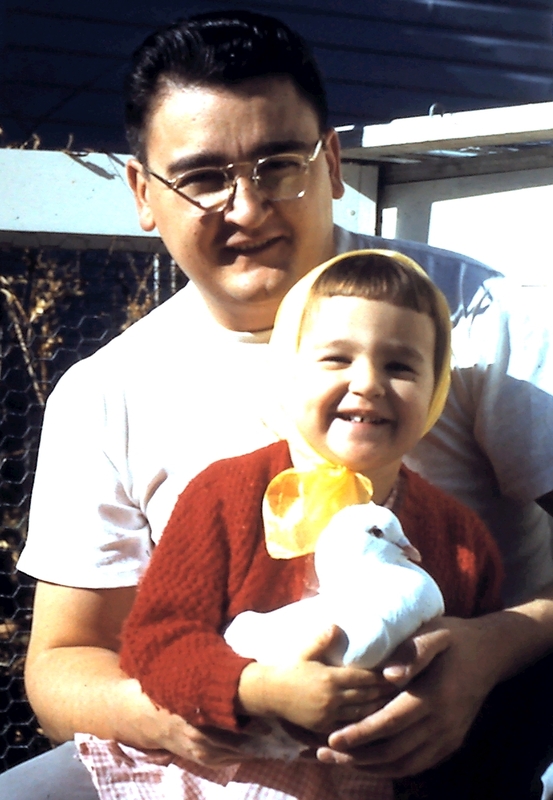 So now when I remember Dad, I just skip over that time and instead focus on the wonderful person he was before. Today I find myself wondering who I will be at the end of my life. One thing is certain: I don’t want to be a restful lump of disappointment. I want to be filled with contentment and awe. I want to look back on my journey with satisfaction, compassion, and amusement. As a spiritual being having a human experience, I want to consistently see beyond the limitations of the physical world to a bigger picture where everything is working just like it’s supposed to, where I can rest in the certainty that all is well. How can I be sure that my last years won’t mimic my father’s? I believe the thoughts, habits, and actions I focus on now are the key to my future. Next year. Five years from now. And all the way to the end. Our thoughts today determine our reality tomorrow. We become what we think about most. I think I’ll have a large serving of happiness, please, with a double scoop of gratitude on the side. I love you, Dad! When I have a lot to do—in the office, at home, or even getting ready for vacation —I have a difficult time meditating. This morning was like that. It began with an unsettled feeling as I tried to coax my mind to join me in the present moment. But it would not be tamed. My mind became a hungry animal, keenly searching for something to sink its teeth into, preferably something substantial that required gnawing, tearing, and lots of chewing. An idea to be explored. An event to be analyzed. A behavior to be dissected. A plan to be created in excruciating detail. Ah! What a mind! Monkey Mind Extraordinaire, enthusiastically swinging from one branch to another, totally engaged in frenetic acrobatics. It drags me through time and space at an awesome pace, leaving me restless and dissatisfied. Riding my thoughts gets me nowhere near the peace I desire. A deep sigh. Enough! I’ll try again tomorrow.